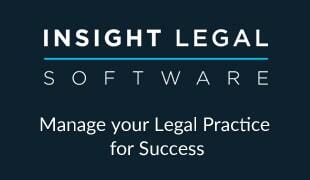 With the introduction of the Solicitors Regulation Authority’s (SRA) new Continuing Competence requirements on 1 November 2016, Landmark Information Group, the environment, land and property data specialists, has announced the launch of its Landmark Academy portal to help legal professionals adhere to the new requirements, which require lawyers to provide a more ‘reflective’ approach to their Continuing Professional Development (CPD). The Landmark Academy portal provides solicitors with free, online access to easy-to-digest webinars and guidance by widely-acclaimed experts on a range of environmental and property-specific issues including flood risk, energy & infrastructure, contaminated land and planning law. It provides an audit trail of all accessed content, enabling lawyers to easily create and share an activity log of CPD activities undertaken, which is one of the new requirements outlined by the SRA. Landmark has partnered with several industry experts who deliver the webinar content. This includes Professor Robert Lee, Head of the Law School and the Director of the Centre for Legal Education and Research at the University of Birmingham; environmental and planning law expert Andrew Wiseman who is author of the Law Society Environmental Law Handbook and a chapter author of the Law Society Conveyancing Handbook. Renowned property lawyer, Sue Highmore, also provides webinar content relating to flood risk, in addition to the Flood Re scheme, while Tim Champney, Environmental Consultant and Associate Environmental Auditor, provides in-depth analysis relating to environmental risk and due diligence. The Landmark Academy can be accessed via any device, including PCs, mobile tablets and smartphones, enabling solicitors to access the webinars and training guidance at a time that is convenient to them. The portal automatically tracks who has viewed the content making it simple to access an itemised checklist for auditing and reporting purposes. To access the Landmark Academy, visit www.landmarkacademyhub.co.uk/. For more information on Landmark Information Group click on www.landmark.co.uk/landmark-legal, call telephone 0844 844 9966 or follow the team on Twitter.